President Donald Trump has said the U.S. must continue to invest and build up the military in order to maintain the country’s competitive edge against potential adversaries. “We’ve secured record funding for the armed forces,” he said Friday during the Defense Roundtable at Luke Air Force Base in Arizona. He cited the release of the Defense Industrial Base Report this month, the need to modernize the U.S. nuclear arsenal and the $716B defense budget approved for fiscal 2019. 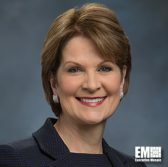 Lockheed Martin CEO Marillyn Hewson and Boeing CEO Dennis Muilenburg also attended the event. Hewson provided updates on the F-35 fighter jet program and lauded the Trump administration-commissioned study on the defense industrial base. “We look at 2.4M jobs in aerospace and defense, and a trade surplus of $86B, we know it’s important that your study that you commissioned uncovered that we do have fragility in the supply chain, we do have capabilities that we need to bolster,” she said. 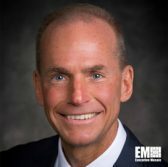 Muilenburg said the company has accelerated efforts to deliver a pair of presidential aircraft and continues to address challenges in workforce and supply chain areas. Boeing secured a potential $3.4B contract from the U.S. Air Force in July to design, modify and certify the two presidential planes. Muilenburg noted that the company aims to support the service’s training needs through the new T-X trainer aircraft.